When Carinn Jade and I first set out on this debate for Brain, Child Magazine, we planned to focus on Superwoman Syndrome: the idea that a woman can – and should – be ‘perfect’ in everything she puts her hand to. But, in the process of writing, we became fixated on cupcakes instead. Because they were symbolic, to both of us, not only of what we choose to pour our mothering energy into, but of why we choose as we do. Our essays are not just about baked goods. They are about busyness and priorities and perfectionism and how we all show love for our children in different ways. Lauren writes: Birthday cakes have become something of a metaphor to me for my shifting relationship with time management and perfectionism. 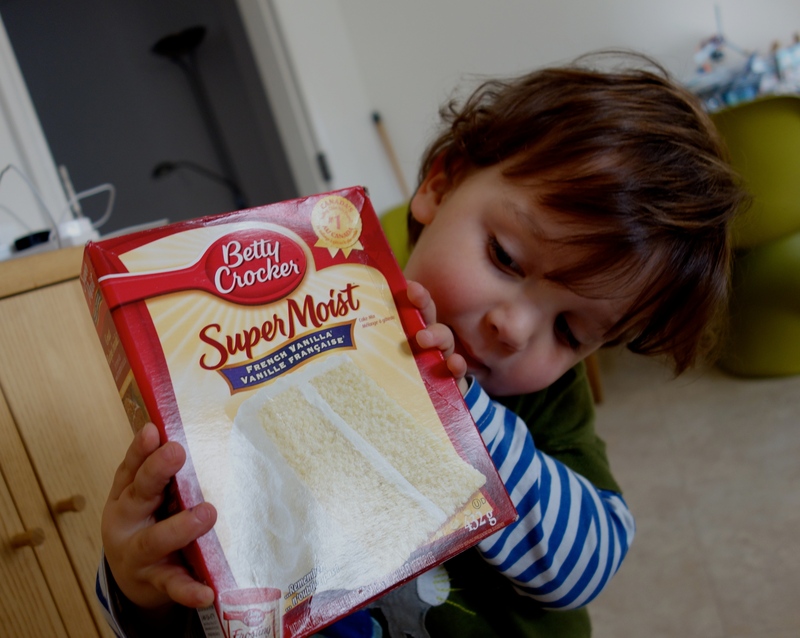 When my first child turned one, I was obsessed with the idea of baking for him. I had one kid, no job outside the home and the mental energy and inclination that comes with such a scenario. So I made banana muffins, the recipe chosen painstakingly, the cream-cheese frosting the creamiest you can imagine. When my last children turned one (twins), however, circumstances had changed significantly. I had neither the time nor the mental energy nor the inclination to bake them anything at all. And so I didn’t. I let my mother-in-law (gasp!) do it instead. Carinn writes: For my daughter’s third birthday, I was going to bake cupcakes. Not just cupcakes, but a design she picked out—adorned with hand-dipped white chocolate covered pretzels sprinkled in purple sugar crystals and transformed into butterflies with exactly two chocolate jimmies for antennae, placed just so. That week I worked every night until 2am after the kids were in bed, alternating between drafting documents and frosting chocolate cake until the wee hours. In my house, actions speak louder than words and nothing says “you are loved” more than homemade birthday cupcakes. You can read the entirety of our different perspectives here. Cupcakes. Who needs those stinking cupcakes?